Due to the wealth of research, best practices in dysphagia rehabilitation are rapidly changing. Keeping up to date on current best practices is difficult. 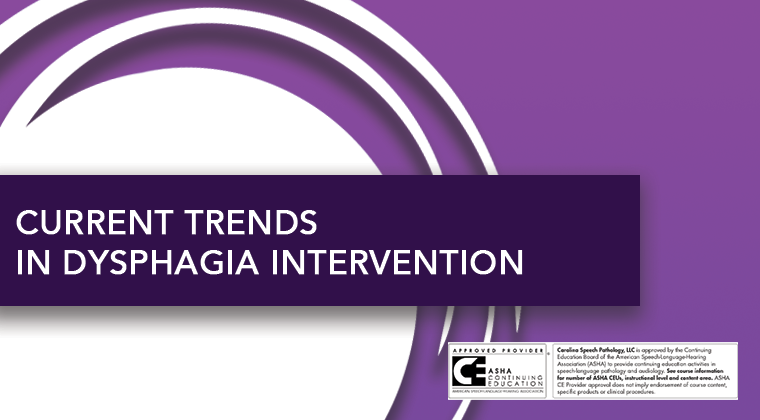 Current Trends in Dysphagia Intervention is intended to provide clinicians with recent information concerning dysphagia therapy. Ed Bice has the following financial relationship. He is a paid employee of the Accelerated Care Plus. Ed Bice has no non-financial relationships to disclose. Ed Bice is a Speech-Language Pathologist currently in the role of Clinical Program Consultant for Accelerated Care Plus’s Synchrony dysphagia program. Ed has worked in the health care industry with extensive training and experience in management for over 20 years. His experience includes a variety of settings, including acute care, outpatient, home health and skilled nursing. During his career, Ed has held various leadership positions. He has worked as a Regional Manager, Vice President of Clinical Services, and Chief Operating Officer. He has been a speaker for national and state level conventions as well as colleges and universities. Currently, he serves on the Editorial Board for the ASHA Gerontology Special Interest Group.